Happy Tuesday! 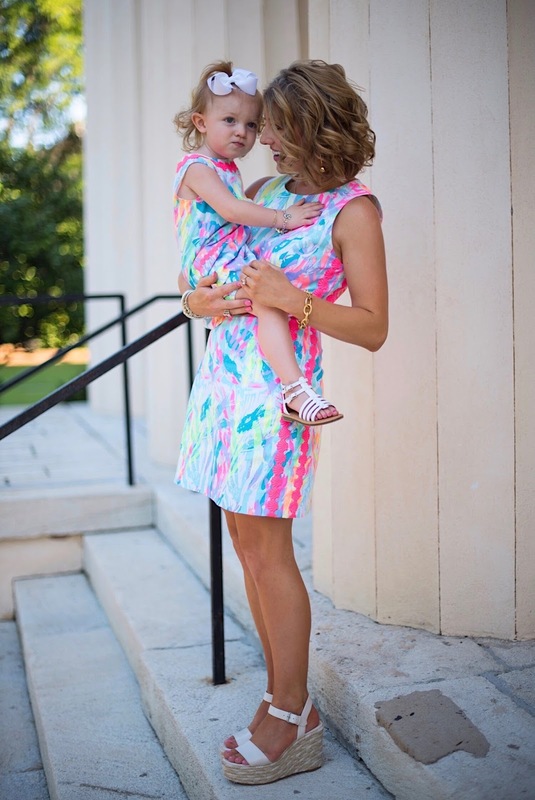 I hope y'all had a great weekend :) Madeline and I matched in Lilly Pulitzer for the first time on Mother's Day of last year. My sweet Mama also wore a Lilly dress. 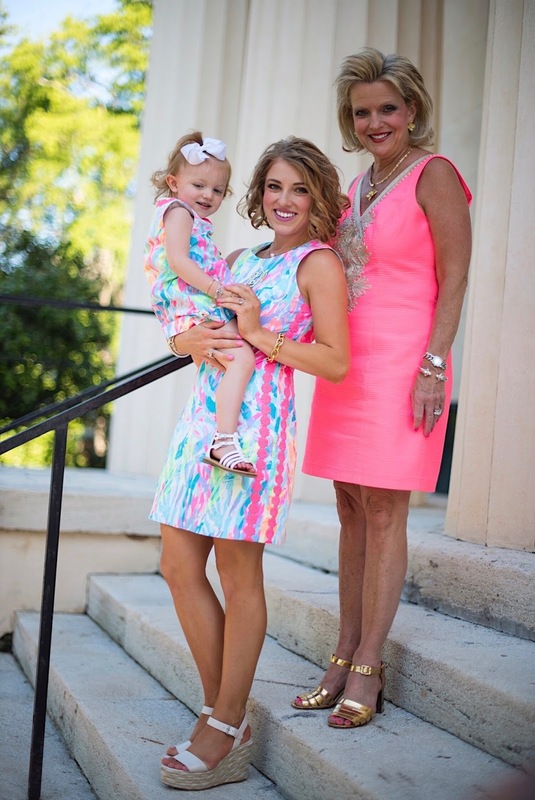 This year, we decided to continue on the tradition with matching and coordinating in Lilly. It was so much fun sporting our bright colors. 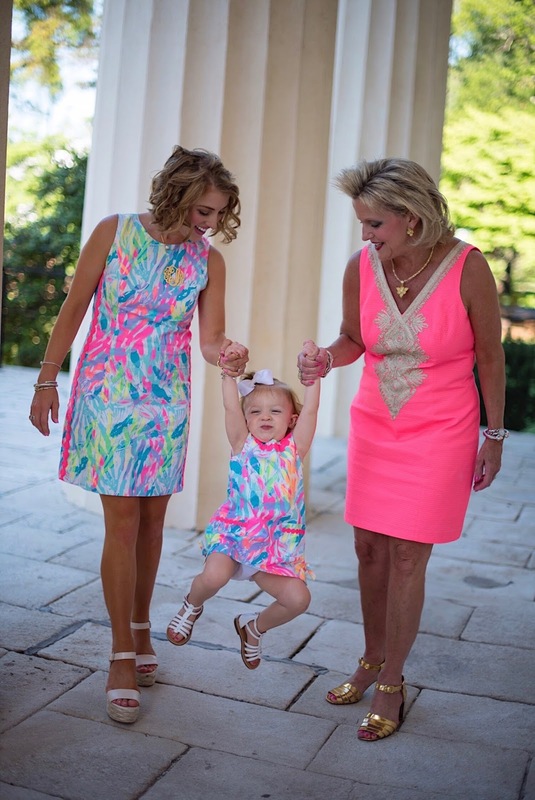 We have always been Lilly girls and are training Madeline to follow in our steps haha. Madeline and my Mama are my two best friends. I love them so much that my heart could burst! We have tons of fun together and enjoy making memories on all of our little adventures. We call ourselves "The three M's" (Mimi, Mama and Madeline). I'm so excited that I was able to convince Mama to make an appearance on here. She is behind the camera with 99% of my blog photos and never complains once. She is also my biggest supporter as she always encourages me to follow me dreams. Isn't she just the cutest?! I always say that I'm going to convince her to make appearances on my blog more often. I am so thankful for my Mama, and I'm so thankful that I get to be Madeline's Mama. 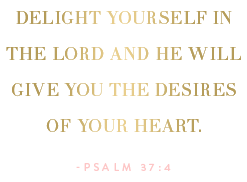 Next, I just want to mention that the giveaway winner for the $200 Nordstrom Gift Card has been announced on the Rafflecopter widget! The winner was randomly generated through the widget. I'm so sorry that this was not announced yesterday. My Monday got off to a rough start, and I ended up having to stop and start again fresh today :) Head over to see if you won! I also just want to say thank you SO much to everyone who entered. I was so touched and enjoyed reading each of your comments on why you entered. I love you all and wish I could give a gift card to each of you! Thank you for your continued support on my blog. It seriously means the world to me! Hope y'all have a fantastic Tuesday! Oh my goodness, I love these pictures so much! 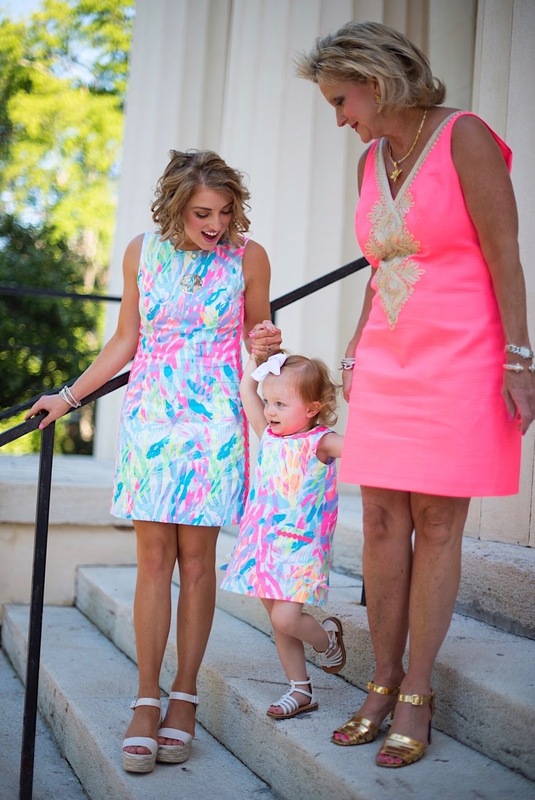 Your little family is so cute in their coordinating Lilly! 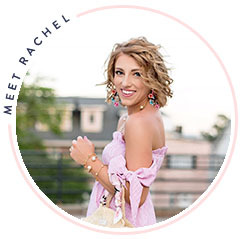 These pictures are so cute, Rachel! 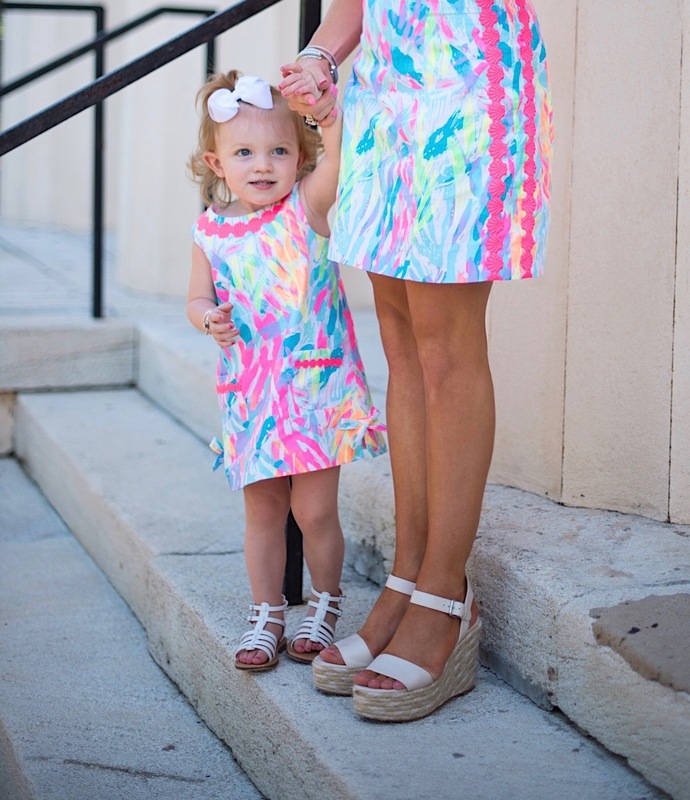 That shift looks gorgeous on you and I love all of the Lilly!